Now I have 2 of them. Thank you, trying my best. 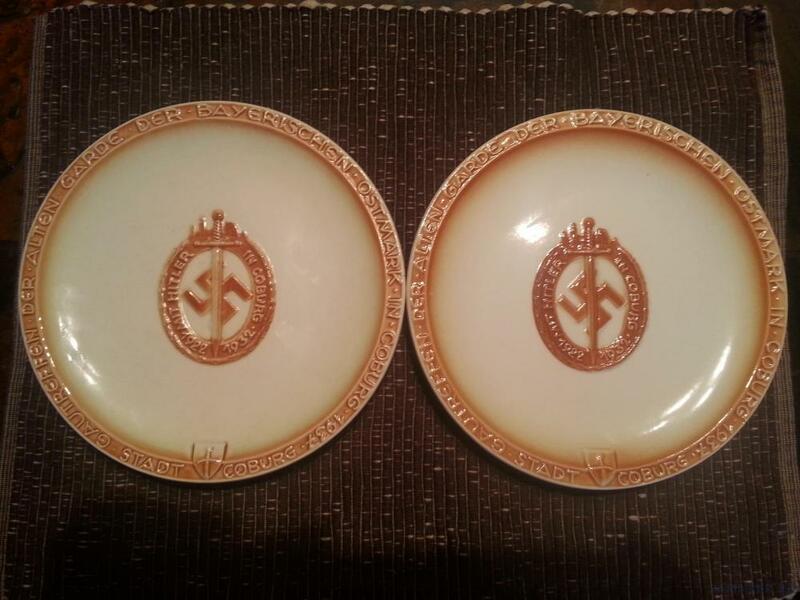 For interest sakes, anyone come across one of these plates before? 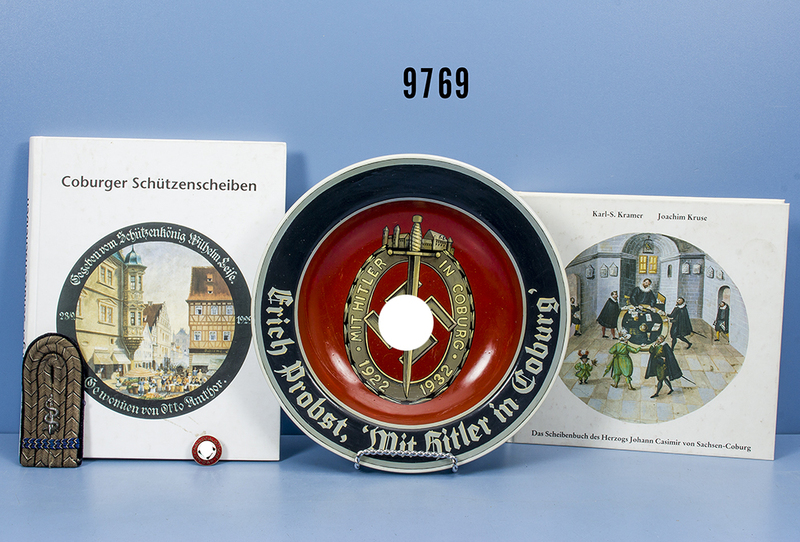 "Erich Probst, Mit Hitler in Coburg" / Maker : "Hutschenreuther Selb Bavaria Germany"
The center plate looks like one of the fantasy pieces that popped up in the 90s--they were fairly well painted onto original mess china (which at the time you could barely give away). 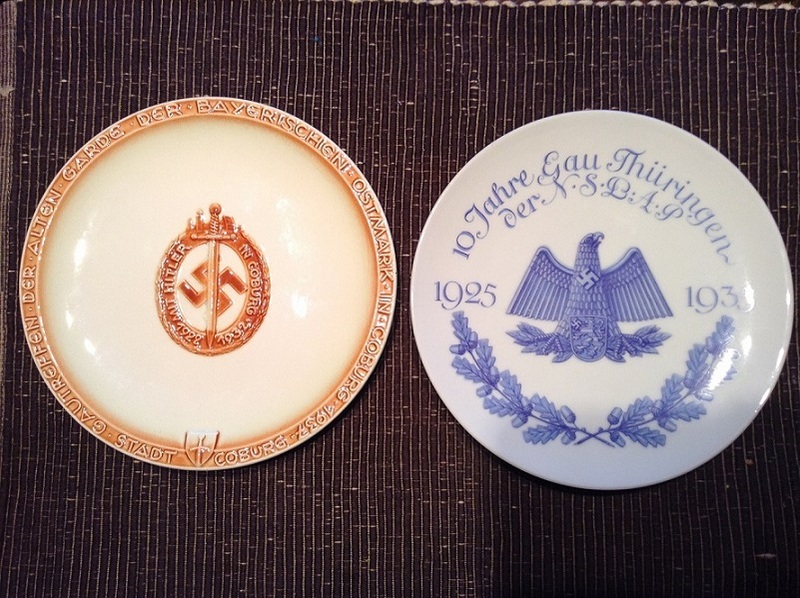 There were numerous motifs--mostly NSDAP organizational, RPT, etc. I know this is an old post, but possibly still of interest. 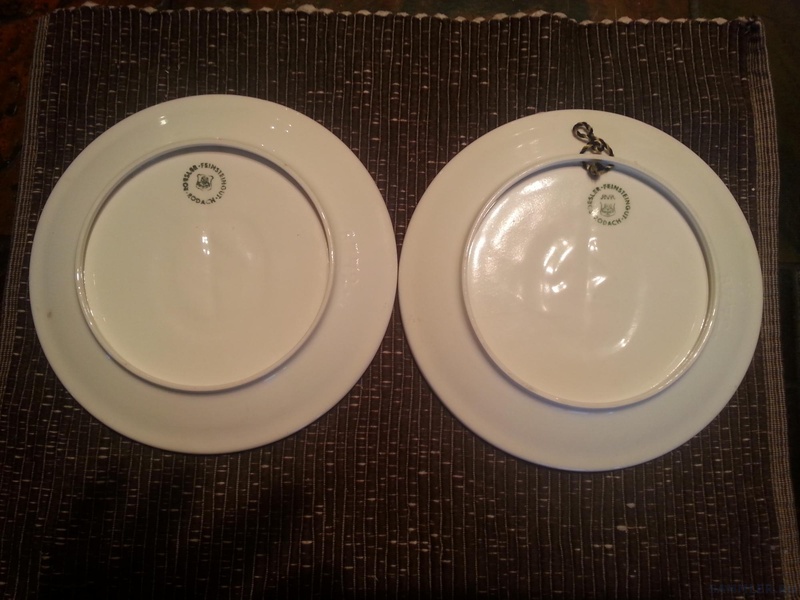 Thanks for the background info on that plate, Erich.